The actual locations where the Showtime series Ray Donovan is filmed. a fixer for a law firm representing the rich & famous in Hollywood. So it's not surprising that the show is filmed almost exclusively in the Greater L.A. region. Ray's house is located on a private road at 2003 Delphine Lane, in the hills of Calabasas, CA. between Woodland Hills (on the east) and Agoura Hills (on the west), in the Santa Monica Mountains. On the show, right across from Ray's home is a neighbor's house that is always blaring loud music. the house belongs to a successful rapper ('Re-Kon') and his wannabe son, 'Marvin Gaye Washington'. And in fact, that house is just 200 yards north of Ray's home, at 2063 Delphine Lane, in Calabasas. 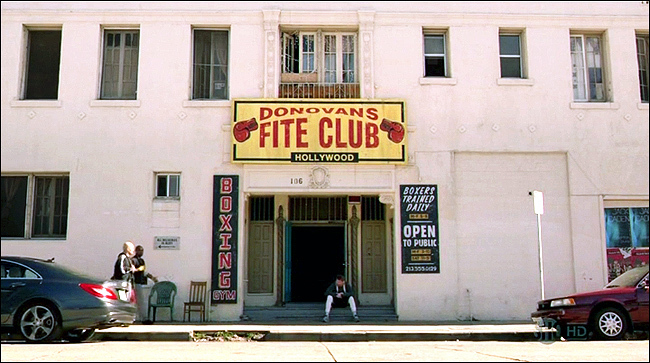 Another regular location on the show is "Donovan's Fite Club"
the boxing gym where Ray's hapless brothers (and Mickey) hang out. 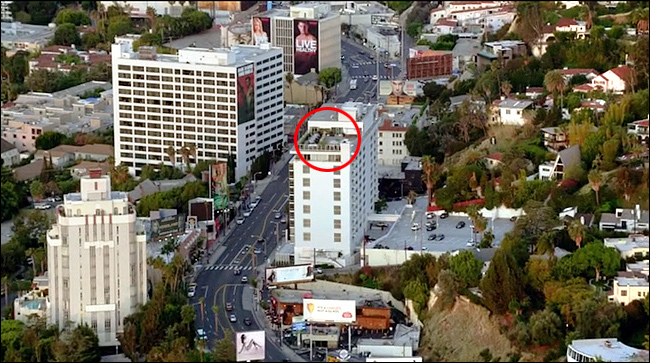 In real life, the building above is actually an apartment house at 106 N. Dillon Street, in Los Angeles. 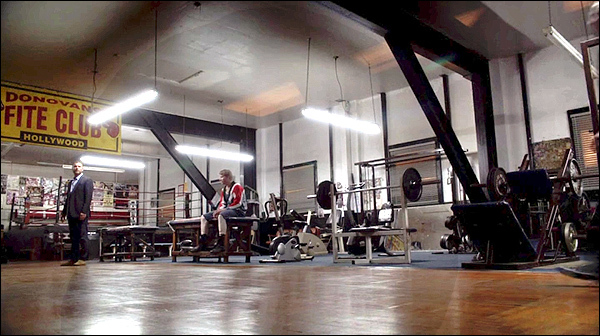 called Broadway Boxing Gym, at 10730 S. Broadway, in Watts. 'The Caveat' tower, where NBA superstar 'Deonte Brown' wakes up in bed with a dead woman. 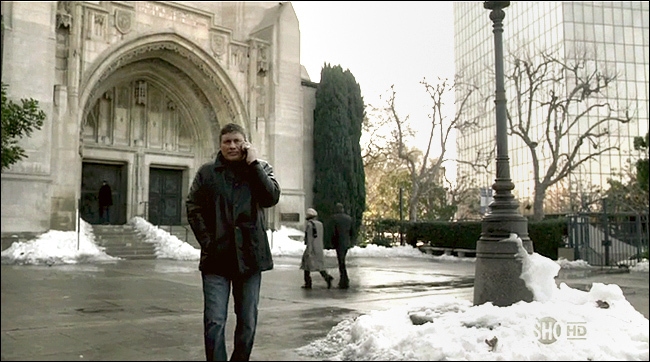 He calls Ray Donovan to get him out of the situation. 8401 Sunset Blvd, on the Sunset Strip, across from the House of Blues, in West Hollywood. a rather obnoxious star who wants him to spy on his girlfriend. Although at first glance this looks like the Melrose double gate to Paramount Studios, it isn't. There's a little Hollywood hocus pocus going on here. 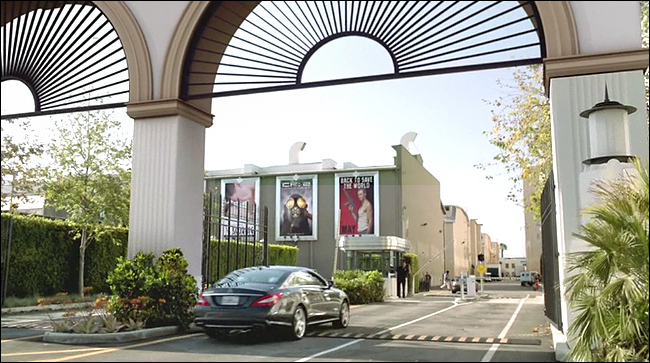 This is actually the gate to the Sony Pictures / MGM Studio, and it's not even the main gate. It's the gate on the east side of the studio, at approximately 10360 Culver Blvd, in Culver City, CA. However, they appear to have added the double arch to the top of the less-fancy Sony gate. 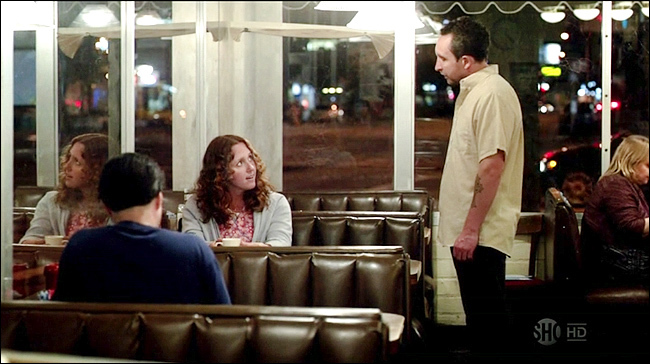 up the nerve to ask his therapy nurse out on a date, at a diner. at 12125 Venice Blvd, in the Mar Vista area of Los Angeles (just west of Culver City). where he finds a witness to Mickey's murder of a priest that Mickey thought had molested Bunchy. at 540 S Commonwealth Ave, in Los Angeles (just a few blocks NW of MacArthur Park). (In the screencap above, you're looking at the west entrance, which faces a broad patio/plaza area.